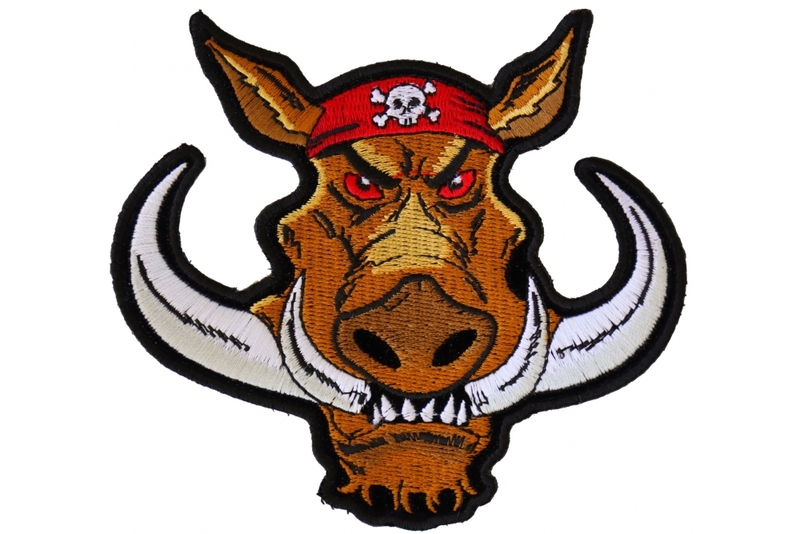 Biker Hog Patch Small is an embroidered iron on patch measuring 4.5x4 inches. 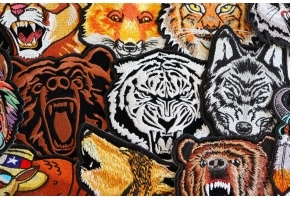 Embroidered in Black / Brown / Red / White / Yellow with die cut borders for easy sewing. 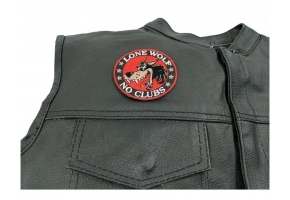 Please do not iron on patches to Leather or Nylon. For permanent attachment sew on the patch. Ironing on with a regular household iron will not hold the patch in place. New Design by Arturo Vilmenay 2013.